Elaine Hall has worn many hats in her multi-faceted and accomplished life including: the child whisperer, educator, writer, consultant, performer, international speaker, and professional acting coach for television and film artists. 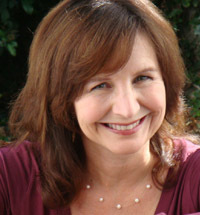 Named "Coach E" by her students based on her celebrated, supportive, life affirming, riveting, and revelatory good works, Hall coaches both typical and "special" children with relationship, self-esteem, and self-confidence issues, as well as children and young adults seeking a professional career in the entertainment industry. She is the author of Now I See the Moon (HarperStudio) about her life as a mother of a child with autism. She is a requested keynote speaker throughout the United States and Canada, sharing her inspiring message of hope, triumph, and joy in raising a child on the autism spectrum. Hall has been featured in Daily Variety, Hollywood Reporter, The Autism Perspective, Guideposts magazine, The Wall Street Journal, The New York Times, Boston Globe, People magazine, Us Weekly, and More magazine. Hall is a regular blogger for The Huffington Post. Hall has received honors from Autism Speaks, Autism Society of Los Angeles, The Mayor of Los Angeles, Senator Fran Pavley, Villa Esperanza, Areva Martin's Special Needs Network, Holly Robinson Peete's HollyRod Foundation, and Etta Israel, among others. 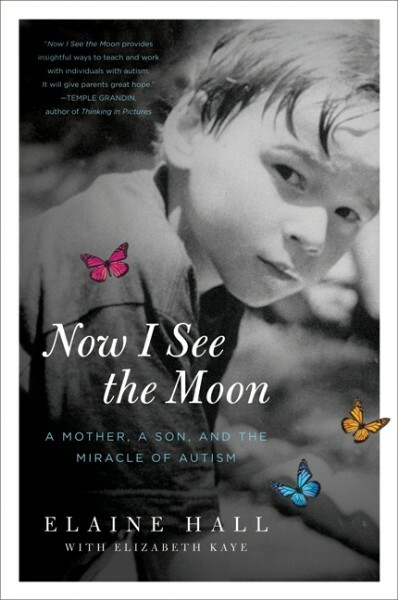 In her book, Now I See the Moon, Hall writes about her extraordinary experiences with her son Neal, adopted from a Russian orphanage and diagnosed with autism. When traditional therapies did not work for Neal, Hall trained actors, musicians, and other creative people to join Neal's world. Over time, he emerged into our world. Ultimately, this experience guided her towards her stated life purpose of creating bridges through art and compassion which unite us all. The book was chosen for World Autism Awareness Day at The United Nations, where Hall has spoken several times. Hall has written and directed over 30 children's plays. She was, before she adopted Neal, a top Hollywood children's acting coach. The New York Times dubbed her "The Child Whisperer," based on the extraordinary and compelling theater arts program, The Miracle Project, that she innovated for children like her son Neal, and the awe inspiring results the work has delivered. Of her philosophy or "way as a whisperer," Hall quotes Albert Einstein: "There are only two ways to live your life. One is as though nothing is a miracle. The other is as though everything is a miracle." The Miracle Project's creative and evocative journey from the first meeting of the children and their anxious families, through creative development and, ultimately, the performance of "Who Am I: A Time Traveler's Tale" is profiled in HBO's Emmy Award-winning feature length documentary entitled, Autism: The Musical. The project premiered at the Tribeca Film Festival in NYC to rave reviews, and it has won Audience Awards across the United States and abroad including the coveted Emmy for Outstanding Nonfiction Special. Hall spoke at a special screening of Autism: The Musical at the United Nations in April, 2009. The Miracle Project Productions has produced a CD entitled, Fly...Into the World of Autism, featuring music written by the M.P. children, performed with celebrities including Jack Black, Macy Gray, Jason Alexander, Stephen Stills (whose child is one of Hall's favorite students), and many more compassionate acclaimed recording artists. Hall recently starred in and co-produced, with partner Diane Isaacs and Concept Media DVD, a series entitled, 7 Keys to Unlocking the World of Autism. Hall and her team are now launching The Miracle Project nationally with locations in West Los Angeles at Vista Del Mar, and in the Valley at The Help Group. The first satellite will be The Miracle Project of New York City at the 92nd Street Y beginning Fall 2011. Prior to innovating The Miracle Project, Hall performed nationally with Sesame Street Live! She has worked as an on-set acting coach for Walt Disney Studios, Universal Studios, ABC Television, Nickelodeon, and most recently, the feature film, Akeelah and the Bee. She founded the critically acclaimed children's theater program, KIDS ON STAGE, L.A.
Hall is also beloved for her expertise in bringing Jewish studies to autistic children, assuring that they are able to share the joy of celebrating ceremonial rites of passage at the core of Judaism. She is on staff at Vista Del Mar Child and Family Services, a prestigious 100-year-old nonprofit in Los Angeles, CA and has created The Vista Inspire Program (V.I.P.). V.I.P. offers socialization opportunities, theater and the arts workshops, along with a Bar and Bat Mitzvah training program for children on the spectrum and their families. Hall lives in Santa Monica, CA with Neal and her husband, play therapist, Jeff Frymer. She believes in miracles, and will instill that belief in audiences of every stripe. "Elaine Hall's Miracle Project is a "miracle" - a miracle of ingenuity, human intimacy, and creativity. This magnificent work vividly demonstrates the joy and hope of discovering the creative and emotional capacities which exist in all children, but especially in those children with autism and other special needs."